Download click.to 1.0.0.1524 look and see! Try click.to now 14 days for free and without any obligation! When you open this page, the download process will start automatically. 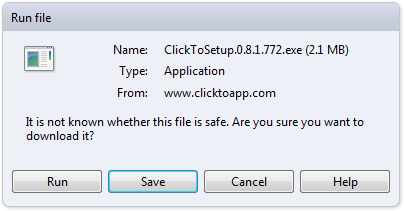 By clicking on “Save” the setup file can be saved in your selected download folder. 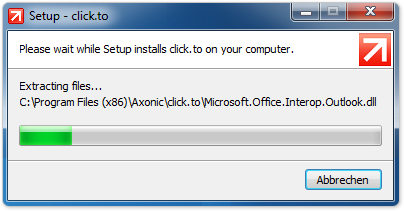 Click.to start the installation process. An installation wizard will help you to complete the entire installation. The next few steps enable you to choose the details/ options of the installation as well as the file folder. 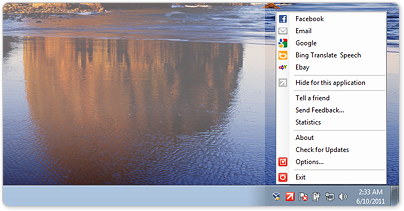 You can also add click.to to the start menu and install a shortcut on your desktop. After having completed the installation, the installation wizard will help you to navigate to the click.to program directly. 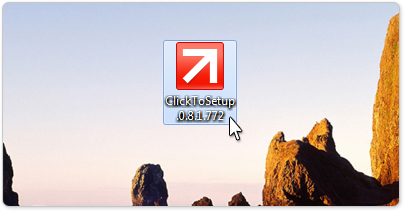 Click.to is shown as a small icon in your taskbar now. Click here for a complete version history of click.to.